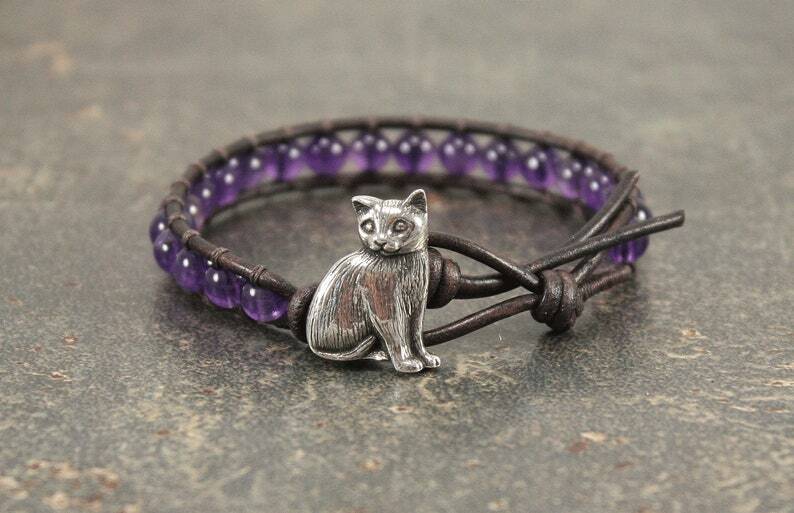 This pretty bracelet features an artisan pewter cat button that I've paired with brown leather and semi-precious amethyst beadss. The bracelet is 1/2 inch (12.7mm) wide. The bracelet is 7 1/4 inches (18.4cm) long and fits an average 6 1/4 to 6 1/2 inch wrist.